In a traditional Chinese fable, the Monkey King, no longer content with his lowly origins, studies Kung Fu and aspires to become a god, while the gods themselves, unhappy that an outsider has tried to emulate their glory, seek to punish him. Yang cleverly modernizes this tale by interweaving its themes of pride and disillusionment with the experiences of Jin Wang, a young Chinese boy who moves to America with his parents. Although Jin tries to fit in at his new school, he encounters xenophobic attitudes from his mostly white classmates. Like the Monkey King, no matter how much he tries to shed his Chinese identity and take on an entirely American one, he finds that his heritage is always close behind. This poignant and moving tale examines the unique experiences and troubles of duel-heritage children in America. 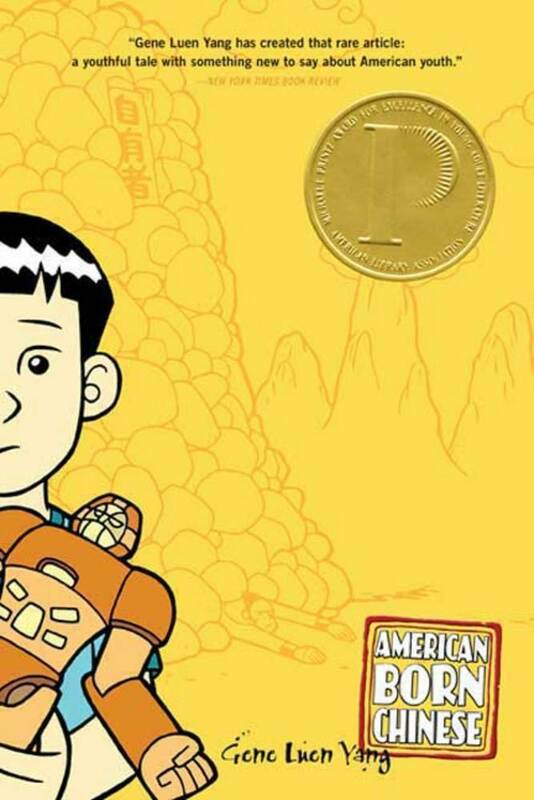 It was the first graphic novel to win the American Library Association’s Printz Award for Excellence in Young Adult Literature, and also a finalist for the National Book Award. Recommended for Gr 8 Up.